A timeless design that has remained strong over the years. 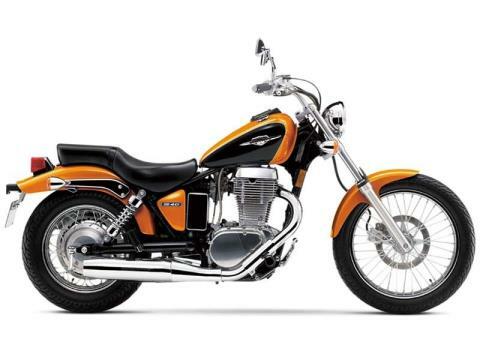 The lightweight responsiveness of the Suzuki Boulevard S40 enhances the amount of joy you'll have cruising down the highway and beyond the city limits. The S40 utilizes a strong single-cylinder engine that provides exciting low-end to mid-range torque and rock solid reliability. At cruising speeds, you'll really appreciate the ride quality of the S40's suspension. Neatly painted steel front / rear fenders and side covers. Light weight (381 pounds) for easy maneuverability. The Suzuki Boulevard S40 comes with an attractive tear drop-shaped fuel tank (2.8 gallon capacity) with flush-mounted speedometer.